I'm not well-traveled so I'm one of the last people who would think of good destination spots. 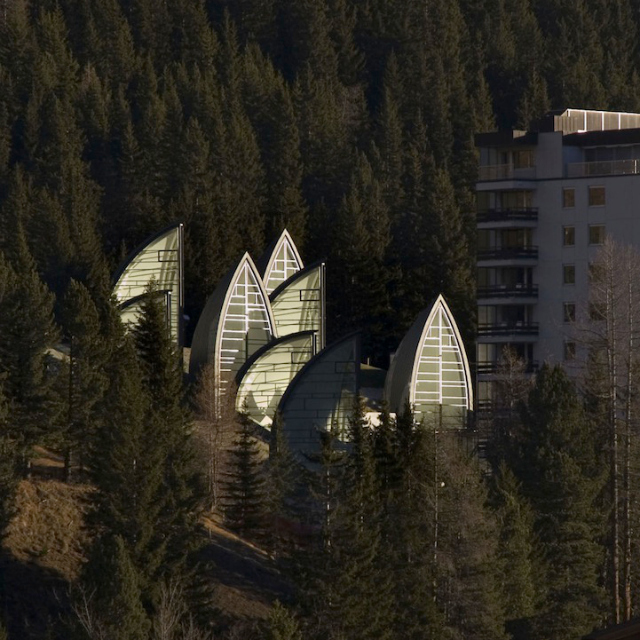 But, if someone showed me this unique Swiss-architect (Mario Botta) designed site known as Berg Oase, I would be on board to go! 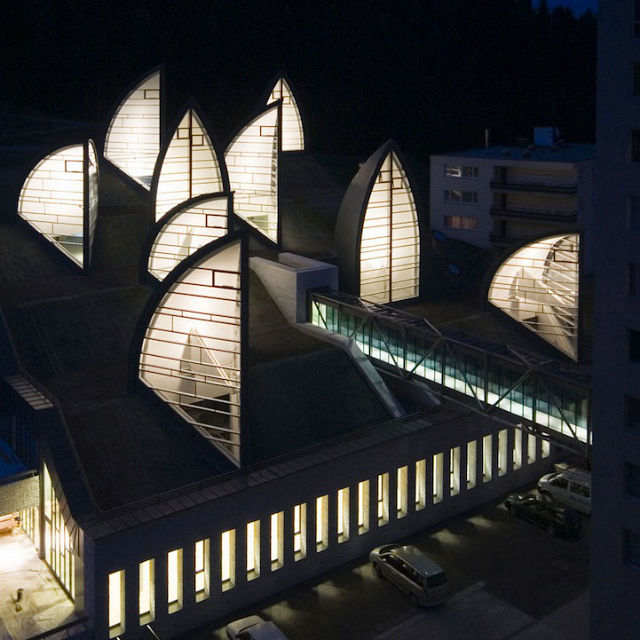 The site is located in Arosa, Switzerland at the base of the mountains. 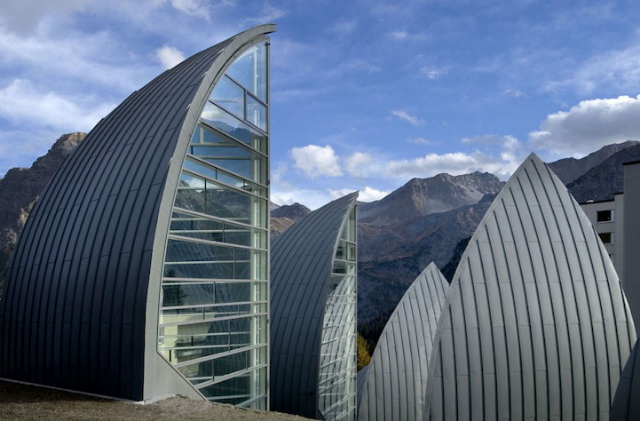 Berg Oase is an interesting mix of Mother Nature and man-made structure. 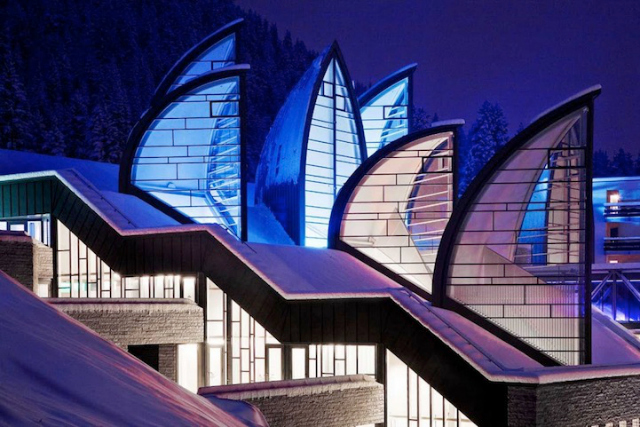 The light that comes from the interiors during the night gives a theatrical appearance contrasted with the daylight where the structure has a futuristic appeal. 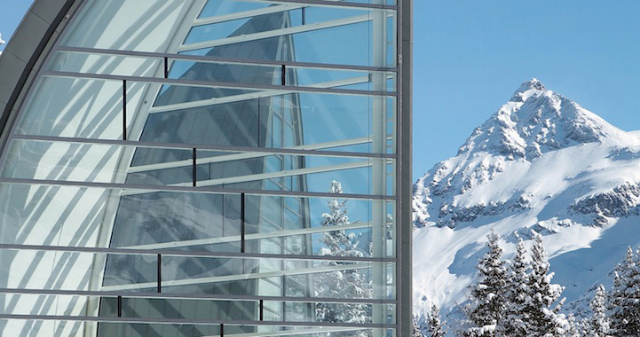 There are so many design elements within this place that catch my eye: the glass bridge, the angles and the curves. Visually, there is so much to see that I can only imagine how it must feel to see this structure in person. What do you think? Have any of you been here? oh wow how cool! i want to go!! WHOA. These are so cool! I love the lighting at night, but it's still quite beautiful during the day too with the snow in the background. Oh wow, that looks like an amazing place! Absolutely gorgeous design! Really beautiful! There's something tranquil but almost a little bit creepy about it- in a good way! It is so nice to see architecture post :) I studied it I really enjoy it thanks for sharing. 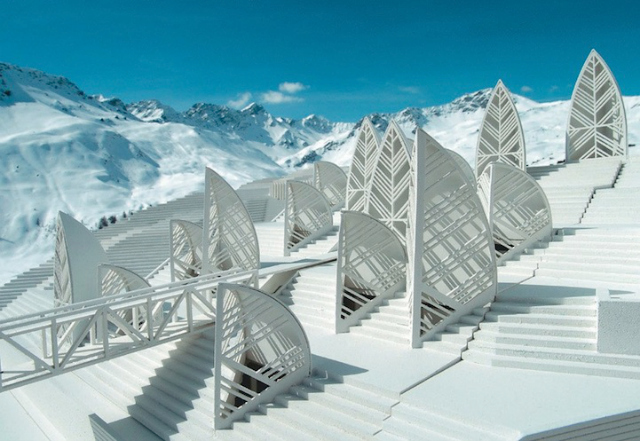 I've never been there, but the structures are truly ah-mazing! I would love to see it. 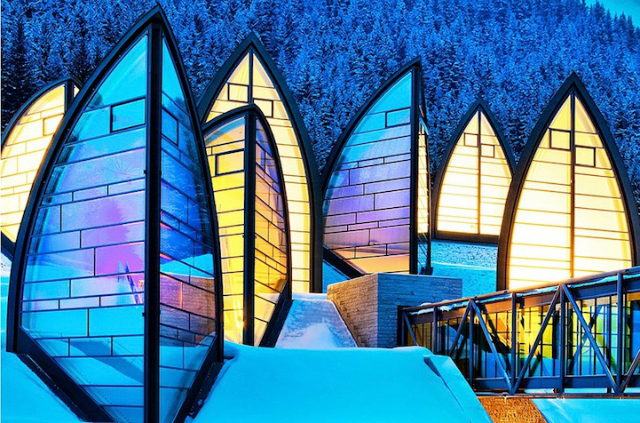 This building is a sheer work of art. So unique and fun to just look at!